When you go to Myeongdong in South Korea, it is likely that your main activity is shopping. However, there are also some interesting things that are worth noting/trying. Let me share them with you in this post. 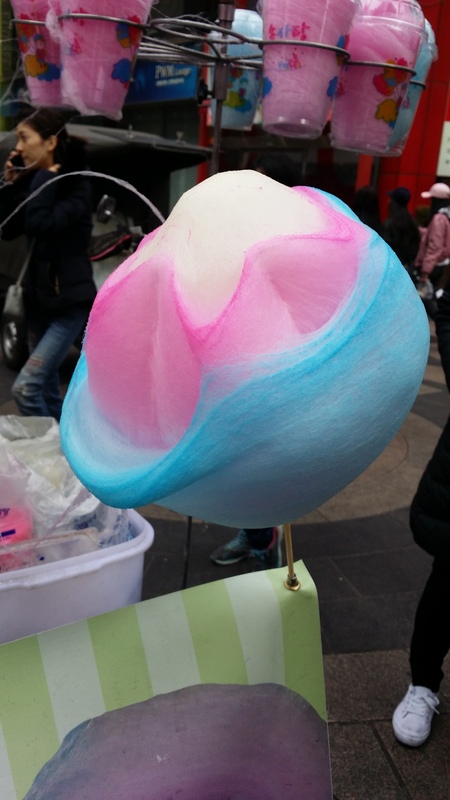 The cotton candy we usually come across has single colour and is in a ball-like shape. 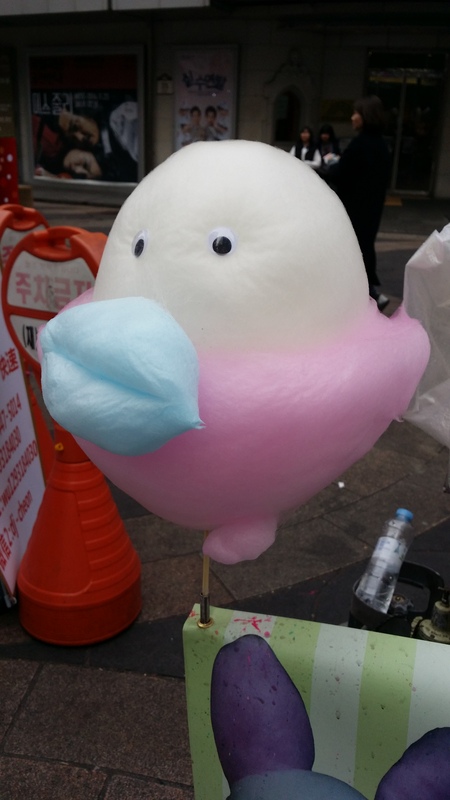 This street stall in Myeongdong sells cotton candy in multiple colours and in different shapes like flower, duck, etc. – I found it very cute. 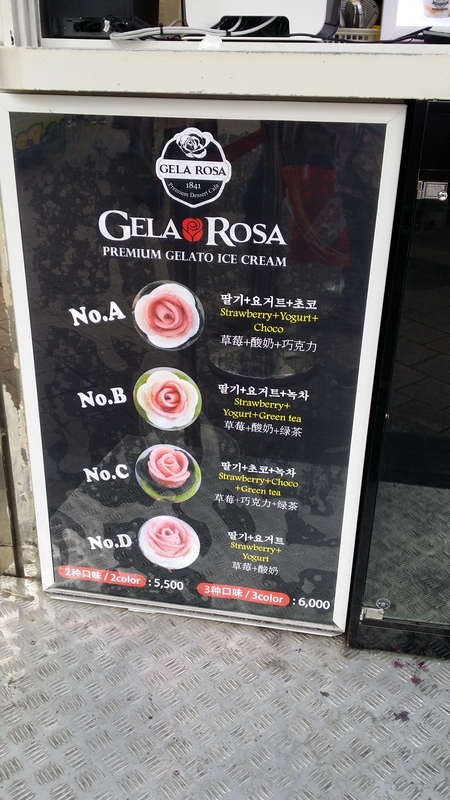 This rose-shaped ice-cream has the strawberry flavour (in pink) as its basic flavour and you can choose to add one or two more flavour(s) like yogurt (in white), chocolate (in brown) and green tea (in green). The recommended way is to eat it with a spoon instead of just eating it in big mouthfuls. However, it is so pretty that you may not want to destroy it by eating it! 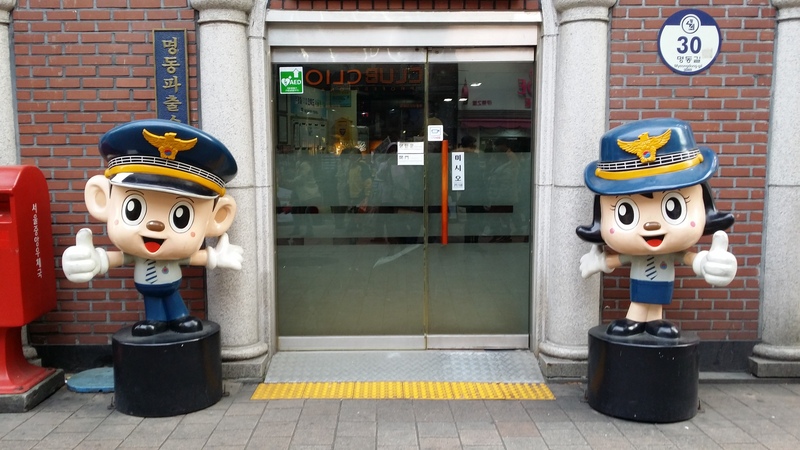 There is a policeman and a policewoman who are very cute standing at the entrance of the police station of Myeongdong. This gives me the impression that the police in South Korea are very friendly.